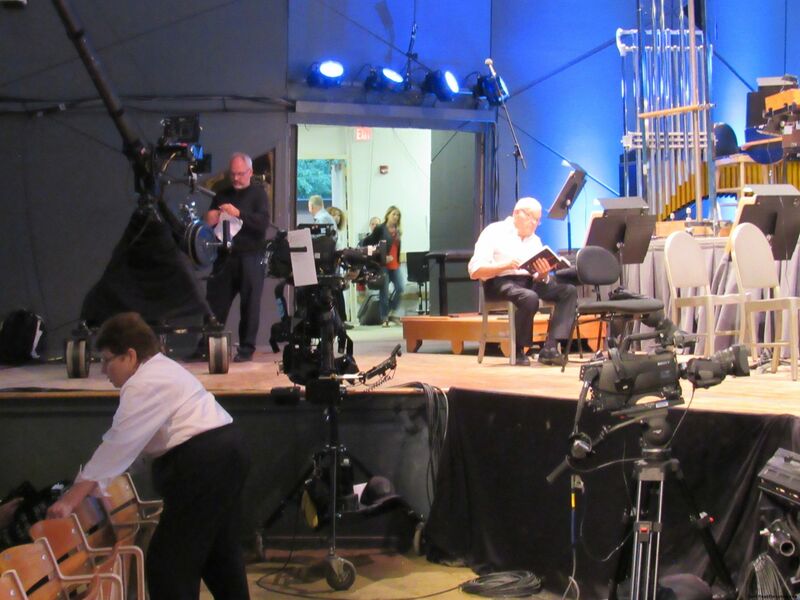 The Bernstein Centennial Celebration at Tanglewood, the culmination of the Summer of Lenny in the Berkshires, was a three hour variety show that wrapped up with the rafter-rattling Finale from Mahler’s Symphony No. 2 “Resurrection.” But, since it would’ve been too tidy for this event to dissolve into silence, host Audra McDonald returned and began singing Somewhere, from West Side Story, and by the time the curtain did drop, that chestnut had been made refulgent by Ms. McDonald, three operatic soloists, a dozen gang members (Jets, Sharks), a few conductors, scores of instrumentalists, and the Tanglewood Festival Chorus. 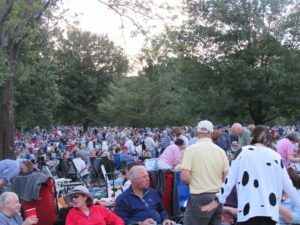 There is some irony in the realization that Highwood House, setting for Highwood’s Ghost, the piece John Williams composed for the Bernstein Centennial, serves today as a sort of dividing line in the stratification of the Tanglewood audience. It’s the Jets banding together against the Sharks; it’s Upstairs, Downstairs. One audience nestles under a canopy to nosh canapes over by Highwood House, while the other one swarms the lawn around the Shed! 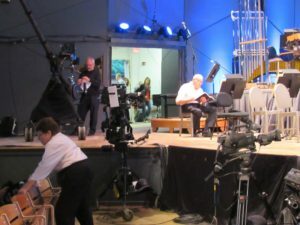 The event was recorded by PBS for airing in December. 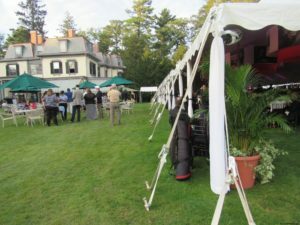 We chatted with a member of the film crew, wondering if he had worked any of the televised Tanglewood shows, such as the Tanglewood 75th Anniversary Gala or Yo-Yo Ma and the Silk Road Ensemble? That was a lucky question because it turns out he was on the crew hired in 1995 by Sony to record a Wynton Marsalis program – which many people hoped would lead to something along the lines of Leonard Bernstein’s wildly popular and successful Young People’s Concerts, which aired on CBS from 1958 until 1972. 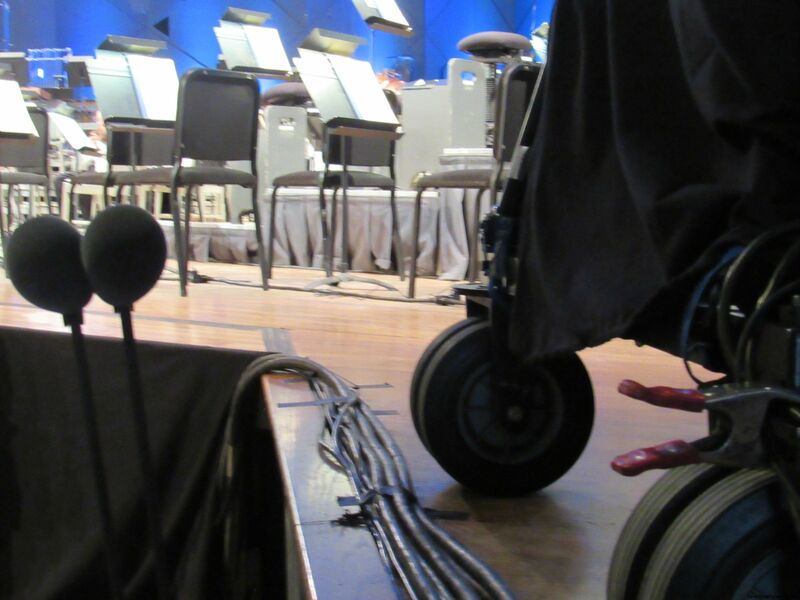 We will add photos, video, and copy to this report, so please, stay tuned!